Kate Ross LeBlanc is Co-Founder and CEO of Saje Natural Wellness - a twenty five year old natural wellness company that has become North America’s leader in plant-derived essential oil products that help you feel your best, naturally. Recipient of the 2018 ‘Dreamers’ Award from the National Retail Federation and the 2016 Ernst and Young Entrepreneur of the Year Award for Retail and Hospitality as well as the Momentum Award by Women of Influence RBC Entrepreneur of the Year, Kate leads the Saje team in its mission to create global wellness by connecting people to the healing power of plants. Founded in 1992, Saje began introducing 100% natural, plant-derived alternatives to pharmaceutical medicine and has grown from 14 to 71 education experience-based retail locations across North America within the past four years – and has been included on the PROFIT 500 list of Canada’s Fastest Growing Companies for the past three years. 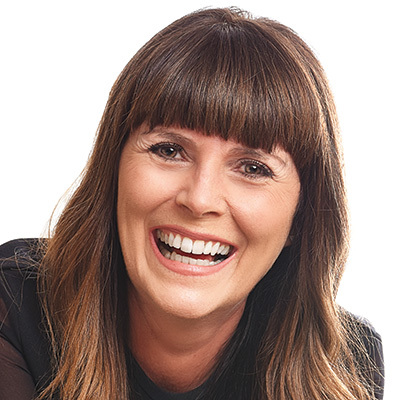 As the pioneer of Saje’s natural wellness product line, champion of the Positively Outrageous Customer Service founding pillar, one of Chatelaine’s 2018 Women of the Year, and past ICSC Retail Chair for British Columbia, Kate is a passionate speaker about retail, company culture, leadership and holistic happiness and has spoken at events across North America, including most recently Retail West.